. . . [both in the pieces with the Siggi String Quartet] and in the solo selections, Ólafsson brings to bear a supple sense of phrasing and wide-ranging gestural palette . . . He finds 1,000 flavors of repetition. Anyone who wants a point of entry to, or refresher course on Glass's music need listen no further than here to find bold, dramatic interpretations of his work. As one listens to the opening track entitled "Openings", it is immediately clear that this is not your ordinary classical piano solo material. Instead it feels more abstract, definitely modern. Can classical music be modern? Absolutely . . . a pure delight from start to finish. Well harnessed and restrained at just the right moments, this album of Philip Glass piano solos by one of the rising stars in the classical music world is a must have for any discerning collector of such musical ilks.
. . . [Olafsson's debut recording] is a delightful celebration of one of the most influential composers of the 20th and 21st centuries . . . As I listened I kept thinking, "Gosh that was a clever little harmonic twist", or "I love that rhythmic pattern, isn't Philip Glass a fabulous composer". But of course, the composer is nothing without the performer with the skill and insight to bring out these clever ideas and take us along on the musical journey.
. . . [Olafsson plays Glass's Études] from a personal place of detachment but with all the subtlety and nuance they require. His performance of the final Étude No. 20 is striking for its otherworldly feel . . . Olafsson has produced a very fine performance . . . The calibre of his playing assures he will always stand out.
. . . this very nicely produced selection of the Études has impeccable musicianship and an air of quiet authenticity stamped all over it . . . Dynamic contrast and phrasing is a vital aspect of these pieces, and Ólaffson's touch is impeccable in this regard . . . As a well-chosen selection and a sublimely well performed and produced album, this Deutsche Grammophon release has much to recommend it. With perfectly chosen tempi, Víkingur Ólaffson's playing combines late-romantic expressiveness, without too much rubato messing around, with the beating-heart-of-the-big-city energy which is exactly what this music needs . . . [this album] will be a juicy treat in which to wallow for a long time to come.
. . . [Ólafsson plays Glass with] mesmeric beauty . . . In his hands the slow motion of the music's shifting patterns and colours is almost hallucinogenic.
. . . [Ólafsson's performances of Glass stand out] for their rare combination of technical brilliance, expressive control and interpretive depth . . . [his interpretations of the études] inhabit a distinct and extraordinary world all their own . . . Ólafsson possesses that rare gift of illuminating a familiar work in unexpected ways, revealing hidden depths and drawing out its best qualities. In Glass's music, each repetition is enriched by subtle changes in colour and articulation, as if Ólafsson were continually refreshing the page on his musical server . . . [the musical results are] overwhelmingly positive and impressive . . . [on two tracks the superb Siggi Quartet join] this breathtakingly brilliant pianist.
. . . [in this selection of Glass etudes,] Vikingur Ólafsson captures a sense of reflection and development. Inner voicing is tackled with bravura, and his phrasing is perfection. Ólafsson's understanding of contrast is also effective -- witness his deliciously refined exploration of the extremities of the keyboard in the gently undulating No. 2. The dynamic range and emotional intensity of No. 6 is equally powerful . . . [in No. 20] Ólafsson carefully considers every syntax, emphasis and intended meaning, with spectacular results . . . ["Opening" from "Glassworks" bookends the etudes with] glorious stringscapes and filmic melodies.
. . . [a classy production,] ebbing and flowing without undue recourse . . . The opening track of the album is one of the most interesting: the interlocking rhythms of the opening from "Glassworks" has that organic feel I recognized from Glass's reading of his "Etudes", but this version is uber-organic. At first listen I questioned if the piece had been recorded in two takes? The liner notes do not reveal an answer, but if played in one take, the piece demonstrates Ólafsson's extreme independence of hands and enviable technical abilities . . . Ólafsson's technique and interpretations are the more pianistic and dynamic ones yet. He treats each Etude as its own sound world, going further than Glass did with a gentle technique, especially so in the reading of Etude 2. Ólafsson's technical range is on full display in the next track, Etude 6. Using broad strokes of dynamic contrast between sections, extreme control and dynamic variance on a repeated-note theme, and beautifully-controlled crescendos, he elevates Glass's music beyond the technical reach of the composer. To a similar degree, Glass's third etude also shines with the gravitas of an excellent-sounding piano and Ólafsson's technical gifts. Already familiar with Glass's etudes, I enjoyed hearing their transformation into polished works of art in the performance by Víkingur Ólafsson.
. . . [Olafsson] seems to draw us into a perfectly ululating wave of "Glassness" . . . [the DG sound] is inviting, too: warm yet allowing through every detail . . . The sequencing of the Etudes is impeccable . . . Olafsson's ability to paint with a thousand colours is magnificent . . . Olafsson's performances are so perfectly realised this becomes the go-to disc for Glass lovers.
. . . excellent . . . Both technically brilliant and highly individualistic, Olafsson's performance pulls off that rare thing: he illuminates a familiar set of pieces in new and refreshing ways . . . in the right hands, minimalist music can offer a rich and diverse range of interpretations and listening experiences.
. . . [Olafsson's recording of 10 piano etudes], rich with interpretive depth and surprising turns, is nothing short of eye-opening. His Glass Études (10 of 20) are supple and make this seemingly simple music shine and glitter. 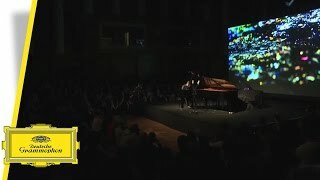 While "Opening" from "Glassworks" evokes the Philip Glass cliché in the piano version, its arrangement for piano and string quartet (Étude No.2 gets the same treatment) becomes an easily savored, filigreed highlight.
. . . le jeune pianiste islandais Vikingur Olafsson vient de faire une entrée remarquée dans l'écurie Deutsche Grammophon . . . Tempérament volcanique, grande virtuosité, goût du défi, le jeune iconoclaste propose un programme très personnel . . . Un parcours plein de surprises, de verve et de poésie.
. . . [Olafsson] nous régale dans cette succession de climats aux teintes subliminales, dans un toucher précis et clair, miraculeusement sobre, qui nuance décisive, fait toute la part à l'atténuation et la poésie sonore . . . Le pianiste Vikingur Ólafsson fait jaillir des études de Philip Glass, une activité miroitante poétique . . . un jeu d'une rare subtilité intérieure qui fait jaillir sous l'apparente et sévère répétition circulaire et elliptique, une activité souterraine continue, perpétuelle, aux reflets miroitants, qui expriment des métamorphoses sonores infinies, à la fois nostalgiques, sombres, délicatement tragiques. Toute la musique de Glass est une réflexion sur l'écoulement du temps en une rythmique qui remodèle la scansion naturelle. La notion de répétiton prône un arrêt sur image, une suspension d'un temps idéal, qui fait l'économie d'une contrainte d'un développement irréversible et inexorable. Toujours l'énoncé se reproduit, se réitère, comme s'il souhaitait reprendre celui qui l'a précédé mais autrement. Tout découle ce qui précède, en renouvelant à chaque section, une vision neuve: le jeu d'Olafsson permet d'inscrire cet esthétique à la fois créative et nostalgique dans un flux organique homogène et cohérent. Du grand art . . . L'album DG est le meilleur enregistrement paru en 2017 célébrant les 80 ans de Philip Glass.